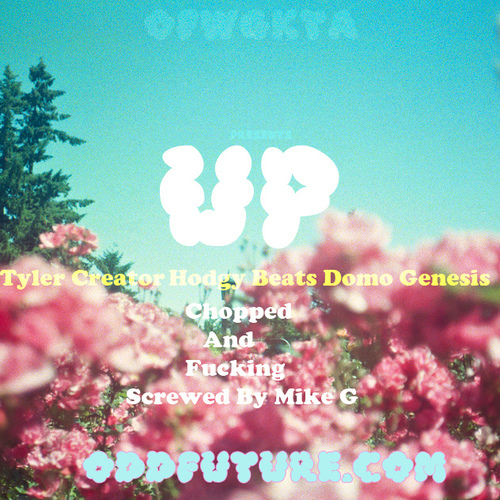 OFWGKTA's Mike G is back in the fray with a 10-track EP titled Chase Clouds. The EP comes as an appetite-whetter as he prepares his debut ..
Ash Riser Teams with Mike G and Papo for New Single "Moon Cry"
In preparation for his debut album Ghosts, the 27-year-old Cali native Ash Riser has dropped a beautifully produced track in "Moon Cry" featuring .. It seems like when those Odd Future fellas put out a track, you have to at least hit play just to see how off the wall or interesting things ..
Mike G – "My Crown"
Odd Future rapper and producer Mike G is back with a new installment in his #MikeGMondays series. On "My Crown", the Cali Native spits confidently ..
A brief, inane personal anecdote before I go into the standard how good this is. Strict Face put "Vanilla Pattern" up on his SoundCloud sometime ..
Looks like we got some new/unreleased music from the people from Odd Future mainly by Mike G & Earl Sweatshirt. The Mike G track is produced ..
Have another knocker here for you from the Wolf Gang. You probably remember this track from their instrumental mixtape Radical. Here, Domo ..